James 'Cas' Castrission and Justin 'Jonesy' Jones are just days away from successfully completing their attempt to become the first team to ski unsupported from the edge of Antarctica to the South Pole and back. For the past 80 days, 29-year-old Cas and 28-year-old 'Jonesy have skied over 1900km – that's further than from Brisbane to Melbourne. Travelscene American Express is a Gold Sponsor of the record breaking attempt and General Manager Jacqui Timmins said the countdown is on as the pair battle on to make the last flight out of Antarctica next Friday, 27 January. "Cas and Jonesy are on track to succeed in their push to finish in time but it's coming down to the wire," Travelscene American Express General Manager Jacqui Timmins said. "I've just been on the satellite phone with Jonesy and while they're tired, hungry, and exhausted, they are confident they will make the finish line in time." 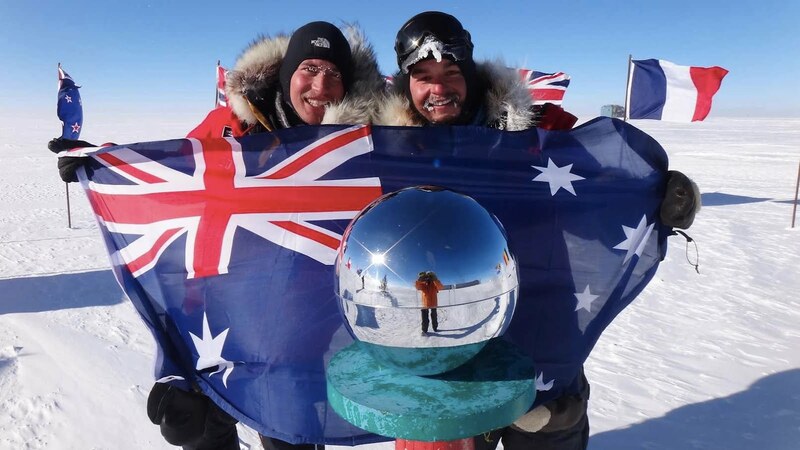 "They have already smashed one world record by becoming the first to travel more than 1800km through the Antarctic unassisted and they're doing well to succeed in completing their Crossing the Ice expedition on time despite the heaviest snowfall in the region in years." "Cas and Jonesy need all the help they can get right now as they push through the final week towards the finish line. It's going to be tight but they're determined and they keep on keeping on. These guys couldn't even ski not that long ago and now they're managing an incredible 45kms a day." "They're so incredibly grateful for all the support they've received from Travelscene American Express. From messages of support from Members through to our support as a Gold Sponsor and travel partner, they're adamant that without our involvement, the expedition wouldn't have happened." "Despite a mighty effort on a daily basis, it's going to be close," Travelscene American Express General Manager Jacqui Timmins said. "As a Gold Sponsor of this incredible expedition, we're watching Cas and Jonesy' progress closely and we've got our fingers and toes crossed that the weather holds and that they're able to keep clocking decent distances on a daily basis." 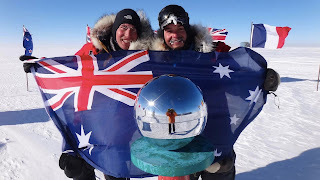 "You can follow this amazing journey via www.casandjonesy.com.au and not only send Cas and Jonesy a message of support but also see via their webcasts just how truly tough this record-breaking trek is." Mirroring their expedition, Cas and Jonesy are also looking to raise $100,000 for You Can, the youth cancer charity.